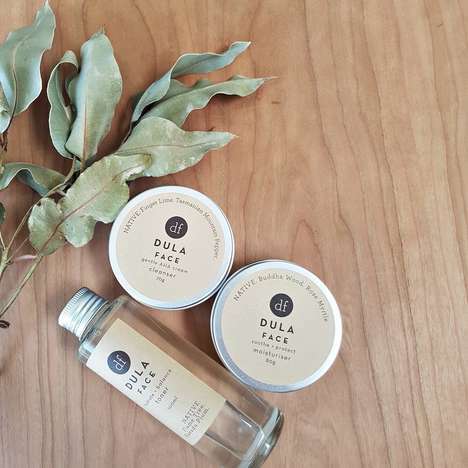 Natural skincare company DULA is preparing to share its latest Australian skincare range through the NATIVE collection, which focuses on native Australian botanical ingredients that are particularly beneficial for nourishing and repairing dry, sensitive skin. The skincare products for the face are handcrafted in Sydney and include options like cleansers, toners, butters and balms to support skin that’s damaged or prone to irritation. The clean products are formulated without harsh synthetic chemicals and avoid animal testing. As well as putting a focus on natural ingredients like Tasmanian mountain pepper, rose myrtle and Kakadu plum, this Australian skincare collection will be packaged without plastic in favor of simple, earth-friendly alternatives with minimalist labels to convey only essential product information.